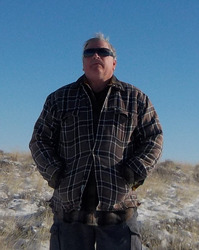 A construction manager and environmental specialist with Arcadis, Mike Stermitz coordinates and monitors environmental permit compliance on major projects, including the Southwest Gas/Paiute Pipeline Company project, for which he acted as lead environmental inspector for an eight-week period in 2016. In his role with Arcadis, Mike Stermitz also has completed Migratory Bird Treaty Act surveys. He presently acts as an environmental representative for Marathon Gas' pipe replacement projects through Arcadis. Prior to working with Arcadis, Mike Stermitz served as a water quality specialist for the Montana Department of Environmental Quality, where he collected and analyzed water samples from the state's streams, rivers, and lakes. Among other responsibilities, he was tasked with determining the source of pollution and creating concise reports. He also served as an environmental inspector for High Plains Environmental Field Services, where he monitored work sites, labels, and employees to ensure proper regulations were followed. Mr. Stermitz began his career with the Montana Department of Fish, Wildlife & Parks and earned a governor's citation for bravery while working with the government agency. The recipient of a bachelor's degree in wildlife biology from the University of Montana, he later earned an associate of applied science in environmental technology from Montana Tech. Mike Stermitz also completed 900 hours of field and classroom activities at the Montana Law Enforcement Academy.